If The Lieutenant wins – It would make a first-try winner out of trainer Mike McCarthy, jockey Drayden Van Dyke and owners Mr. and Mrs. William K. Warren…The Lieutenant would become the 18th Kentucky-bred, the 10th of bay color and the 12th five-year-old to win the Classic. If Dr. Dorr wins – With six wins, Hall of Fame trainer Bob Baffert would tie the late Hall of Fame trainer Bobby Frankel for most Classic triumphs … Dr. Dorr would become the fifth gelding to win, the first since Shared Belief in 2014 … Would be a first Classic win for Joe Talamo in his seventh mount … Jill Baffert would become the first solely-listed female owner to win a Classic. If Prime Attraction wins – It would be a second Pacific Classic victory for jockey Kent Desormeaux, coming 26 years after Missionary Ridge in 1992. Patrick Valenzuela currently holds the record for longest interval between wins at 20 – from Best Pal in the 1991 inaugural to Acclamation in 2011 … Like The Lieutenant, Prime Attraction would be the 18thKentucky-bred, 10th bay and 12th five-year-old to win. If Roman Rosso wins – Would tie Bob Baffert with Bobby Frankel for most Pacific Classic wins (see Dr. Dorr) … Roman Rosso would be the third Argentine-bred to win, joining Candy Ride (2003) and Gentlemen (1997) … It would be the first Pacific Classic win in the fourth Pacific Classic mount for meet-leading rider Flavien Prat. 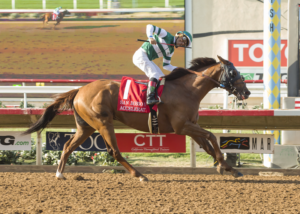 If Accelerate wins – It would end years of disappointment for trainer John Sadler, who comes in 0-for-11 in Classics, and owner Hronis Racing (0-for-4) … Would be a second “Invader from the East” victory for jockey Joel Rosario, who shipped in to win on Dullahan in 2012 but was 0-for-5 in years when he was Del Mar-based and atop the rider standings, and is 0-for-1 since Dullahan … Accelerate would be the 11th chestnut to win, maintaining its status as the winningest of Classic colors … Accelerate would be the third to sweep the “Big Three” events in California for older horses – the Santa Anita Handicap, Gold Cup and Pacific Classic – in a single year, joining Lava Man (2006) and Game On Dude (2013). 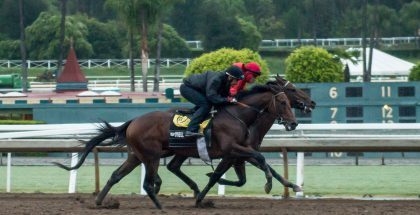 If Pavel Wins – It would be the second Pacific Classic victory for trainer Doug O’Neill, following Lava Man in 2006 and first in two mounts for the O’Neill stables main rider, Mario Gutierrez .. It would be the first victory from five starters for owner J. Paul Reddam … Pavel would become only the second gray/roan winner, joining Free House in 1998. 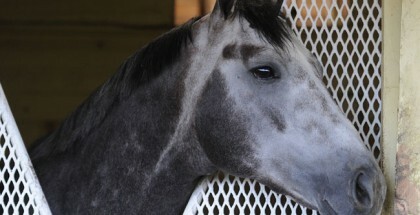 If Two Thirty Five Wins – It would be an initial victory, with his third starter, for trainer Richard Baltas, a first-mount score for 19-year-old Venezuelan-born jockey Franklin Ceballos and a first-starter win for Slam Dunk Racing and partners … Two Thirty Five would become the fifth gelding to win, the first since Shared Belief in 2014 and the ninth 4-year-old.